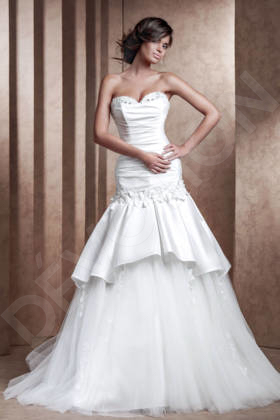 Show off your good taste in this elegant wedding gown with a hint of theater. 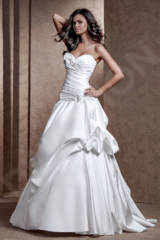 The satin fabric gives your look a distinct shine, and the drop waist corset with a sweetheart neckline highlights your perfect figure. 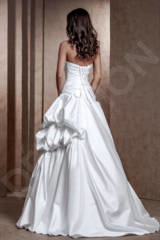 The exquisite draping on the skirt accentuates all the right places, and makes sure for you to stand out. 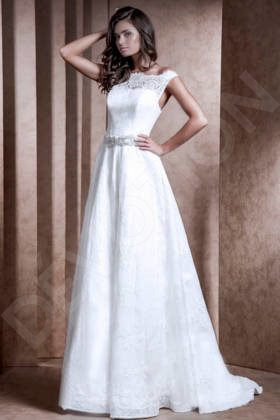 The bead and sequin appliqué add a sparkling finishing touch to your look. 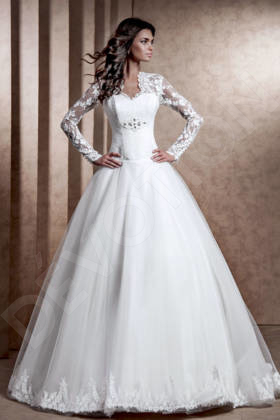 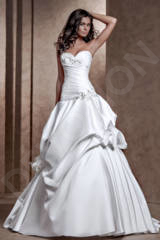 Receive your standing ovation in this gorgeous wedding gown.